AMG Market offers you the opportunity to reach affluent Mercedes-Benz enthusiasts – our readers, friends and business colleagues. All marketing programs are affordable, effective and reach the high-quality Mercedes-Benz enthusiast audience we serve. Boxes are popular sponsor information placed on our weblog (blog). They are located in the right sidebar. They are displayed on every page of the blog. The number of pages increases weekly with every blog post and article page added to the site. Banners offer exceptional visibility through above-the-fold positioning and they are displayed specific pages; available on a first come first serve basis. The promotional banners randomly rotated with each page view, are displayed at the top left immediately below the navigation bar. The number of pages increases daily with every blog post and article page added to the site. *In addition to the display ads, a link is also provided on the AMG Market home page for all box and banners. Links are displayed on all of our blog pages just below the subscription box in the right sidebar. They are also displayed on the AMG Market home page. We reserve the right to reject any ad at any time based on content. Ads must be appropriate for our audience and rates are subject to change (check this page for updates). Want us to call you? OK, we understand. Simply fill out our contact form and one of our marketing specialists will contact you. Maybe we can help. Our marketing specialists are available to answer questions. You can provide your own ad design or we can create one for you. Whether you are looking to place a one-time classified or develop a comprehensive marketing campaign, our experienced marketing specialists can assist you in selecting the right package to reach our highly targeted readers – affluent Mercedes-Benz enthusiasts. Success requires action, let us help you get your message out. Our success is based on your success. Share your message with the AMG Mercedes-Benz enthusiast – you can start today! We accept advertisements for products and services that are relevant to our content and our readers. Adding a link on our site is a cost-effective means of reaching our high-quality audience as well as increasing your page rank. The links must be appropriate for our readers and we reserve the right to reject ads based on content. Graphic design services are provided by our professional graphic artists, which have more than 15-years of custom publishing, marketing and communications experience. We offer both online and print ad design, as well as marketing brochures, custom publications, websites, blogs, e-newsletters, etc. Each project is quoted based on your needs and budget. Custom marketing campaigns are based on your specific needs, priced competitively and reach a high-quality audience. Please contact us for additional information. There is a minimum term of three months, followed by a month-to-month plan where either party may terminate the advertisement; 30-days advanced notice is required. Classified ads are an exception and can be purchased on a month-to-month basis. 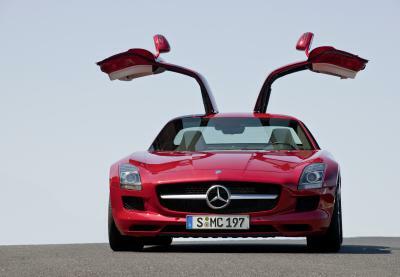 AMG Market is dedicated to the Mercedes-Benz enthusiast. We offer comprehensive marketing and custom publishing services as well as media buying, which often includes online as well as print ads in newsletters and magazines. Custom marketing programs are designed to meet your specific needs. If you are interested in reaching the Mercedes-Benz enthusiast, please contact AMG Market and we’ll get started. We are dedicated professionals and we look forward to working with you. I am a member of the Queensland M/B car club, owning for 30 + years, a W111 3.5 coupe in top condition. It won the Presidents Cup at last weekend’s Concourse. I was given your contact details by a fellow enthusiast at the meeting and have misplaced his contact details and am seeking your assistance in locating him. He is a restorer, I believe located in a suburb of Brisbane, apparently using you as a source of parts. Should you be able to assist, I will be most grateful. AMG Market Copyright 2005 - 2014 - all rights reserved. Thanks for cruising with us.